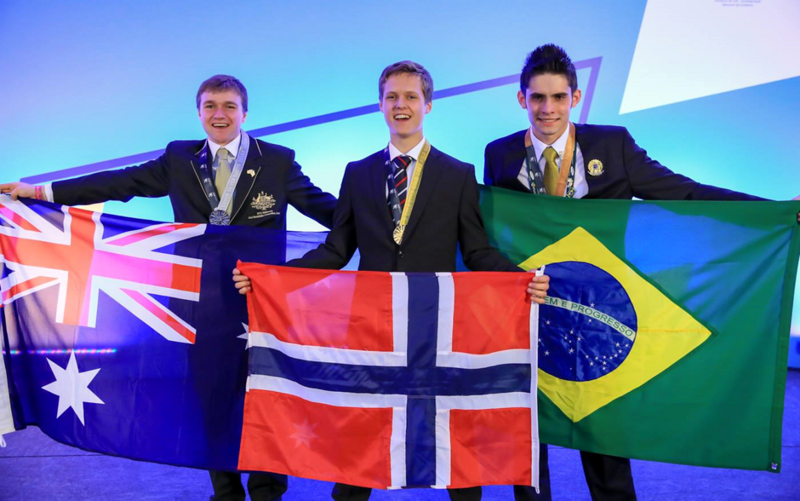 WorldSkills Australia’s team of 26 competitors is toasting a fantastic team effort during the 43rd WorldSkills Competition held in São Paulo, Brazil, from 11-16 August 2015. The Skillaroos proved to be fierce competition for the other 54 countries in attendance, bringing home a total of three silver and two bronze medals. Harlan Wilton (Web Design), Jyothi Forman (Jewellery) and Joseph Pauley (Industrial Mechanics Millwright) won silver medals. Joseph Pauley was also named Best of Nation for his outstanding performance. Dylan Di Martino (Plumbing and Heating) and Sam Spong (Bricklaying) won bronze medals. Sam was mentored by Troy Everett, an Australian Apprenticeships Ambassador who is the International Expert for bricklaying. Additionally, ten Skillaroos received a Medallion of Excellence for receiving an overall score of 500 or above without receiving a medal. WorldSkills Australia CEO, Mark Callaghan expressed his pride in the result of the Skillaroos’ talent and many hours of committed training. Visit the WorldSkills Australia website to find out more. Assistant Minister for Education and Training, Senator the Hon Simon Birmingham, congratulated the Skillaroos on their return from Brazil, saying Australia was well represented by the 26 Skillaroos who are living proof that vocational skills are a key to success, not just for individuals, but for the entire economy. “These young people are an inspiration to all young Australians as they demonstrate what can be achieved through a skills-based career” Senator Birmingham said. Read Minister Birmingham’s media release. National Skills Week was officially launched at Parliament House in Sydney on 24 August 2015. This event begins a national week of celebration and reflection on vocational education and training (VET) and its importance to the nation and the lives of individual Australians. Now in its fifth year, National Skills Week is dedicated to raising the status of VET. This year’s theme, Discover - Your Incredible Journey to a Career, embraces and brings into focus skills that link to the job requirements of industry and highlight future industry trends. The evening included an address by the Hon John Barilaro MP, New South Wales Minister for Regional Development, Minister for Skills and Minister for Small Business and a welcome appearance by the 2015 Skillaroos. A highlight of the evening was an inspiring Q & A with two Australian Training Awards winners, Ms Sally Moylan, 2014 Aboriginal and Torres Strait Islander Student of the Year and Mr Steven Atkins, 2014 VET Teacher/Trainer of the Year. Once again, National Skills Week is creating awareness of the benefits a VET pathway provides to individuals, and the benefits for business of providing nationally recognised qualifications to employees. Visit the National Skills Week website to see the full listing of the week’s events. School Pathways to VET Award. These individual, business and organisation finalists will now contend for a prestigious Australian Training Award to be announced at the national finals in Hobart in November. The Australian Training Awards are the peak national awards for the vocational education and training sector, recognising individuals, businesses and registered training organisations for their contribution to skilling Australia. The majority of the awards are the culmination of the state and territory training awards with winners from each state and territory eligible to compete at the national level in aligned categories. There are also seven award categories available by entering directly to the Australian Training Awards. Entries for 2015 state and territory training awards have now closed, with more Australian Training Awards finalists being announced over the coming months. Visit your state and territory training awards website for finalist announcements and event dates. 2015 marks the 20th anniversary in Australia of Adult Learners’ Week, an international celebration of the value and diversity of lifelong learning celebrated in the first week of September every year. The week recognises achievements and raises awareness of adult education and promotes activities to encourage participation in further learning. Senator the Hon Simon Birmingham, Assistant Minister for Education and Training, launched Adult Learners’ Week on Wednesday 2 September at the Barton Community Centre in Adelaide. During the launch, Senator Birmingham said that the adult and community education sector should be celebrated during Adult Learners’ Week as it provides learning, whether for personal fulfilment or retraining, for all Australians, whatever their stage of life. “Adult and community education plays an important role in reducing the risk of long-term unemployment for many young people. Learning is one way of increasing people’s capacity to work by providing the knowledge, skills and confidence they need to successfully enter, remain in or return to work,” Senator Birmingham said. This year’s theme, Unlocking Learning: Lifelong learning for everyone, addresses the common misconception that learning and education ends with traditional schooling. Adult Learners’ Week is about showing the range of opportunities available for adults who want to broaden their skills. It also demonstrates how learning benefits everyone in our community and society as a whole. The Australian Government funded Adult Learning Australia to promote and assist in co-ordinating activities during Adult Learners’ Week in 2015 that showcased the importance of adult learning. Read more about the activities and events planned for Adult Learners’ Week. The new Australian Industry and Skills Committee (AISC) will provide effective industry leadership in vocational education and training (VET) and guide the training package development process to better meet industry needs. The establishment of the Committee delivers on the commitment made by Commonwealth, state and territory skills ministers last year to put industry at the centre of streamlined governance for training package development. A key focus of the AISC is to ensure the system is focused squarely on industry needs and that Australian workers are highly skilled and job-ready. Under the new arrangements for training product development, commencing 1 January 2016, the AISC will schedule and commission the review and development of training packages based on the advice of industry reference committees. It will also quality assure and approve training products for implementation. The AISC chair, Mr John Pollaers, and members are industry leaders who bring together a wealth and diversity of experience. Members were nominated by Commonwealth and state and territory ministers, with an annually rotating industry peak body representative position and two senior government ex-officio members. For further information on members including their biographies, please visit the VET Reform webpage. The AISC will meet regularly to approve training packages for implementation and to develop advice on national training policies. At their second meeting on 27 July 2015, the Committee approved changes to the following three training packages for implementation; HLT Health, CHC Community Services and CSC Correctional Services. Further training packages are scheduled for approval at upcoming meetings. Regular communiques are available following AISC meetings. The next meeting of the AISC will meet on 1 September in Sydney. Through the Industry Skills Fund (the fund) the Australian Government is investing $664 million for up to 250,000 training places and support services to help Australian businesses upskill or retrain their workers so their business can diversify or take advantage of new market opportunities. • training specific to their needs. From 1 September 2015 businesses in or seeking to expand their operations in northern Australia can receive additional support under the fund. The Australian Government has released the first ever White Paper on Developing Northern Australia. The White Paper, Our North, Our Future, is a vision to unlock the great potential and opportunities of the north. Interested businesses can telephone the single business service on 13 28 46 or visit the website. Local businesses in Ballarat are benefiting from the Australian Government’s Industry Skills Fund (ISF), which will provide up to 250,000 training places and support services across Australia. Gekko Systems and Staley Automation Pty Ltd are two of a number of Victorian businesses to secure funding under the Australian Government’s $664 million Industry Skills Fund. Assistant Minister for Education and Training, Senator the Hon Simon Birmingham said that the grants would help local businesses to grow and he encouraged other businesses in Ballarat to apply for support to boost the skills of their workforce. The ISF supports micro, small and medium sized businesses to upskill or retrain their workers so those businesses can diversify or take advantage of new market opportunities. Larger businesses can also apply. Experienced advisers will work with eligible businesses to help them understand growth opportunities, and to identify the skills they need to increase competitiveness, as well as the training provider with whom they want to work. Read Minister Birmingham's media release. On 13 August 2015 the Minister for Education and Training, the Hon Christopher Pyne MP, convened the second Roundtable on International Education, joined by more than 100 education and business experts, students, and community and government representatives. This forum built on the June roundtable and will help deliver Australia’s first truly national strategy for international education, ensuring that international education continues to make a hugely positive contribution to our economy and society. Participants were invited to bring their ideas to the table to help grow Australia’s reputation as a world leader in international education, and to set a clear path for further growth. The Australian Government is determined to position Australia as the destination of choice for students and researchers and for its institutions to be preferred partners worldwide. Minister Pyne was joined at the roundtable by ministerial colleagues the Hon Julie Bishop MP, the Hon Ian Macfarlane MP, Senator the Hon Simon Birmingham, the Hon Steven Ciobo MP (representing the Hon Andrew Robb AO MP), and Senator the Hon Scott Ryan. Read Minister Pyne’s media release. Australia’s Pathways in Technology (P-TECH) styled pilot will provide an industry supported pathway for young people to achieve a qualification that strengthens their employment prospects. The science, technology, engineering and mathematics (STEM) focused P-TECH styled pilot is being established at Newcomb Secondary College in Geelong, and with IBM’s support, a second pilot site will be established at Federation College in Ballarat. The pilot will test and adapt key elements of this innovative US approach to education-industry collaboration in the Australian context. The P-TECH model will offer students studying for their Senior Secondary Certificate an industry supported pathway to achieve a STEM related diploma, advanced diploma or associate degree. The P-TECH styled pilot represents an excellent opportunity to further strengthen connections between education and industry to support young people to make a successful transition from school to work. Read about the Geelong and Ballarat P-TECH pilot or visit: http://education.gov.au/p-tech-pilot. 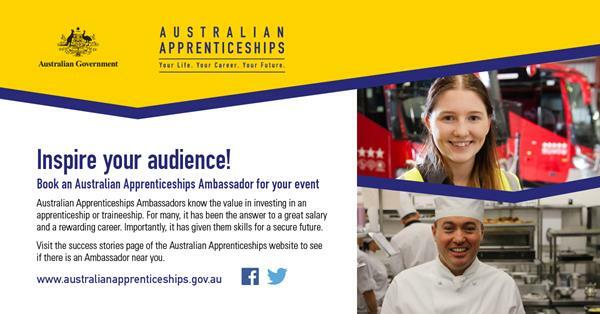 Australian Apprenticeships Ambassadors know first-hand the value of investing in an apprenticeship or traineeship. Their inspirational stories prove that Australian Apprenticeships can provide skills for a secure future, and a rewarding career. As Australia's leading provider of Vocational Education and Training (VET) professional development and consulting services, Velg Training’s vision is to Educate, Inspire and Empower the VET community across Australia. The fifth edition of their free quarterly Staying Connected in VET eZine is now available and features articles from the Australian Skills Quality Authority, the Assistant Minister for Education and Training, the National Centre for Vocational Education Research and industry experts from across Australia. The publication is hosted online via Issuu, where you can sign up for a free account via email or social media networks. For more information and to access a complimentary interactive PDF, visit Velg Training. The Transition Work Plan replaces MSA’s Continuous Improvement Plan as it undertakes Training Package transition activities on behalf of the Department of Education and Training until 31 December 2015. Check individual project pages for further developments or view the Transition Work Plan. MSA’s 2015 Environmental Scan is available in both electronic and hard copy versions. This latest industry intelligence is a valuable resource to inform any development or research work across the manufacturing sectors and can be easily accessed via MSA’s website. For those who like the 3D reading experience, order a hard copy version by contacting us on 02 9955 5500 or online. Attracting the next generation of doers, thinkers and visionaries into manufacturing is one of the critical priorities of workforce development activity in manufacturing, and MSA takes opportunities to be a part of reshaping perceptions about manufacturing’s career opportunities. CEO Bob Paton recently presented at the Manufacturing Career Information Forum at Chisholm Institute in Melbourne, exploring the jobs that are emerging alongside new technologies and manufacturing practice. It was a highly informative morning and participants found it very valuable. MSA has a range of resources to help explain manufacturing career paths on its MSA and MySkills websites. These include 51 career information downloads that describe career choices across 15 industry sectors. The free downloads are especially ideal for career advisors and explain key skills, specialisations and relevant qualifications for job outcomes. • Community Services and Development. Access the newly released training packages on the training.gov.au website. Implementation Guides are available to map information from old qualifications to new qualifications. CS&HISC have begun running national implementation workshops for stakeholders wanting to understand how the changes will affect them. For September workshop dates, locations and registration, visit Implementation Workshops. The Construction and Property Services Industry Skills Council (CPSISC) has just released a Case Study Booklet showcasing some of the fantastic work it has been undertaking and illustrating how it’s helping change the lives of people working in the construction and property services industries. • Case Study 4 - The Real Estate Institute of South Australia requiring a full Certificate IV programme for their constituents to promote sustainability within the community. 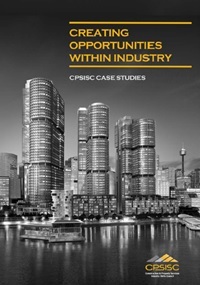 Get your copy of the CPSISC Case Study booklet here. Implementing industry validated assessments supports better productivity for both competent and highly skilled workers. SkillsDMC, who develop quality support materials, have released new and improved Assessment Toolkits aligned to the new Australian Skills Quality Authority Guidelines for Developing Assessment Tools. New releases include toolkits for Work Health and Safety, Materials Extraction and Water Management streams. Until 9 October 2015 there is a 15% off introductory offer on the updated Assessment Toolkits. Read more about the Toolkits and view samples of SkillsDMC’s support materials. IBSA has developed twenty-four written case studies and eight videos that demonstrate a number of aspects of good practice in assessment. Read more about these case studies that cover all of IBSA’s industries, including Business Services, Financial Services and Cultural & Creative industries. Straight to the Source, Right Way National Accreditation Hospitality Foundation Partner, has announced dates for upcoming Accredited Professional Development Food Industry Tours. • meet a seventh generation dairy farmer at Country Valley dairy. Read more about these upcoming industry tours. For more information about the Right Way Accreditation Program, contact the Right Way team on 02 8243 1200 or email rightway@serviceskills.com.au. Consultation on Draft 1 closed on Friday 21 August 2015. Feedback received will inform the development of Draft 2 which will be open for validation in mid to late September on Service Skills Australia’s online feedback register. For more information visit the Tourism, Travel and Hospitality project page or contact Melinda Brown. Draft 2 of the Sport and Recreation training package components opened for validation in late August. Feedback can be submitted on Service Skills Australia’s online feedback register. For more information about the training package review, visit the Sport and Recreation project page or email Service Skills Australia at . Draft 1 of the Retail Services training package components is now open for consultation. It has been developed to meet the Standards for Training Packages and incorporate industry driven recommendations as identified through scoping activities. Feedback on Draft 1 qualifications and units of competency can be submitted until Friday 11 September 2015 on Service Skills Australia’s online feedback register. Visit the Retail Services project page for further information or contact Amy Giesbrecht. Draft 1 of the remaining SHB Hairdressing and Beauty Services training package components will open for consultation during September. It has been developed to meet the Standards for Training Packages and incorporate industry driven recommendations as identified through scoping activities. For further information please visit the Hairdressing and Beauty Services project page or sign up to the Service Skills Australia newsletter to be notified when consultation opens. You still have until 23 October 2015 to contribute an article on the theme of Leadership to Training and Development magazine. The magazine, published bi-monthly by the Australian Institute of Training and Development (AITD), may also accept previously unpublished content on any topic that may be of interest to learning and development professionals. Contributor guidelines are available at AITD. To contribute an article or if you want to use ads or inserts to reach training, learning and development professionals in Australia and New Zealand, contact AITD on 02 9211 9414 or by email. Holly Browne’s journey began when she completed a Certificate IV in Beauty Therapy. Winning gold in her regional WorldSkills Australia competition then bronze at the WorldSkills Australia National Competition recognised her flair for beauty therapy on the national and international stage. 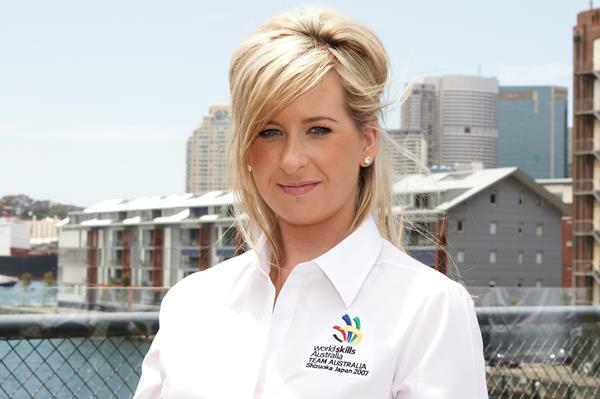 Holly went on to receive a coveted position as a member of the 2007 WorldSkills Australia Skillaroos, where she represented Australia in the beauty therapy category at the 39th WorldSkills International Competition held in Shizuoka, Japan and won a Medallion of Excellence. "I always had a strong interest in skin care and wellbeing from an early age - and dreams to travel and teach. I can safely say that within only a few years of completing my Australian Apprenticeship, I've already realised both these dreams and have a career that I jump out of bed for each day." Read about Holly’s journey to success. Ryan Dahlblom, a landscape gardener, appeared on Channel Nine’s The Block Sky High in May 2013 alongside fellow Australian Apprenticeships Ambassadors Scott Cam and Paul Tran, and several other WorldSkills Australia participants. 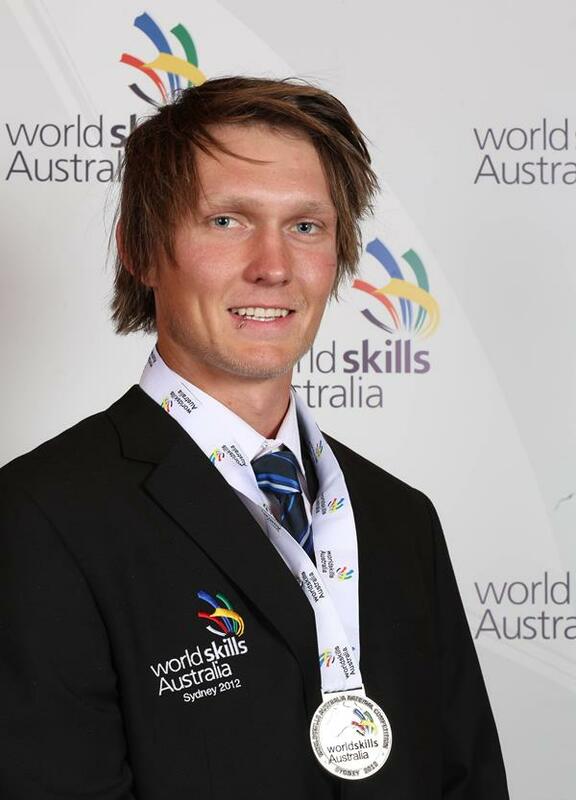 Only six weeks later, Ryan was representing Australia as a Skillaroo in the 2013 WorldSkills International Competition in Leipzig, Germany, where he received a Medallion of Excellence. Matthew Papandrea loves being a butcher so much that he represented Australia in a tri-nations tournament for the trade, won a gold medal at the 2012 WorldSkills Australia National Competition and spent several days working at a butcher shop in England owned by international celebrity chef Jamie Oliver. 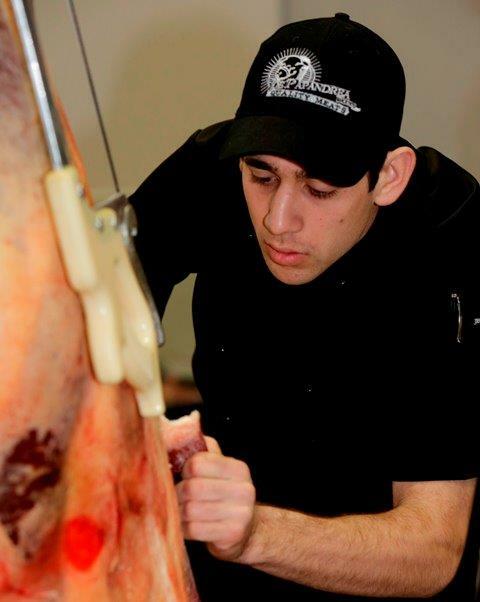 In 2013, participating in the BBM Skilled Futures Program enabled him to travel to Europe for a two-week leadership course, and gain experience at a variety of butcher shops in England and Denmark. Matthew puts his success down to trying to get the most out of his Australian Apprenticeship and having a passion for his career. If you want to encourage others to think about an Australian Apprenticeship as a career choice at your next conference or event, you can book an Australian Apprenticeship Ambassador via the Ambassadors Map on the Australian Apprenticeships website. For more information visit the Success Stories page. As part of Adult Learners' Week, eworks is running a free webinar. The presentation on the work of Malcolm Knowles will explore andragogy, pedagogy and some key considerations on adult learners and how they learn. Read more. The Australian Apprenticeships and Traineeships Information Service websites provide practical and easy to use resources and information about Australian Apprenticeships, including the newly launched Career Interest Explorer. One hour information sessions, provided free of charge, illustrate how the sites support people working in the Australian Apprenticeships field. The sessions benefit careers advisers in schools, and also administration and field staff working in Apprenticeship Network providers, Registered Training Organisations, Group Training Organisations and Employment Services Providers. For more details and to register visit the website or call 1800 338 022. 2015 TDA pre-conference workshops and Conference Welcome Reception at MONA. TDA Australia Conference at the Hotel Grand Chancellor in Hobart. This year’s theme is Inspire. The conference is designed to motivate delegates to be more creative and to stimulate discussion on seeing the world differently with speakers who have been tasked to goad, provoke and energise delegates. The program will explore a range of topics, including fostering industry engagement, market approach to vocational education and training, quality and capability, higher education in TAFE, internationalising vocational education qualifications, vocational education and training pedagogy and servicing regional communities. Join managing directors and senior staff from TAFE providers nationally, along with industry and government partners and international delegates. Over 400 delegates attended last year in Sydney and the conference generated considerable interest from state and national. Visit the TDA website for more information or to access the draft Conference Program. Velg Training’s 2015 National VET Conference will be delivered over two days, providing attendees with the opportunity to engage in a wide variety of plenary, elective and master class sessions and to meet with product and service providers and network with peers from across Australia. The theme for this year’s conference, Reconnecting VET, will focus on three distinct streams including Policy & Reform, RTO Management & Compliance and Training and Assessing. Three additional streams dedicated to RTO Administration, VET Shapers and Training Packages have been added this year. The 2014 National VET Conference attracted over 1,000 attendees, making it the largest annual gathering of VET professionals! Visit Velg’s website for more information. VETnetwork Australia will celebrate their 20 year anniversary with a full day workshop focusing on the achievements of VET for young Australians and the VET practitioner, including discussion and reflection on pedagogy, professionalism, practice and process. Mr Mark Callaghan, CEO of WorldSkills Australia, will facilitate a panel session to showcase the winning Skillaroos from the 43rd International WorldSkills Competition which took place in August in São Paulo, Brazil. The anniversary dinner will include a keynote speaker, recognition awards and more. Visit the VETnetwork website for more information or register for the event here. Both these conferences aim to provide a platform for Indigenous women and Indigenous men to celebrate their achievements in life within their home, family, community and workplace. • National Indigenous Women's Conference - hosted by Indigenous Conference Services (Australia) and The National Aboriginal and Torres Strait Islander Women’s Alliance. The event will focus on empowerment, strong leadership and self-determination. This year’s conference will feature more than twenty keynote speakers and is the forerunner to the Global Indigenous Women’s conference to be held in Adelaide in 2016. • Indigenous Men’s Conference - also hosted by Indigenous Conference Services (Australia). This event is designed as an educational tool to develop networking opportunities and information sharing to the wider community on Indigenous men’s issues. It is an attempt to set up a National Indigenous Menfolk Network, similar to the National Aboriginal and Torres Strait Islander Women’s Alliance. REGISTER for the women’s or men’s conference, visit the 2015 conference webpage or email adminics@iinet.net.au for more information. The theme for the two day conference is Resilience, Risk, Preservation: the evolving world of adult literacies. Visit the conference website for more information and to register. This is an opportunity for Master Builders from all around Australia to come together to learn more about the industry and where it is heading. The theme of this year’s conference is Building Australia and the focus will be on leadership and helping members grow their business. High profile speakers include Chris Richardson, one of Australia’s leading economists and Alisa Camplin OAM, Business Leader and Olympic Gold Medallist. Further details and the conference brochure can be found on the Master Builders’ website. The Department of Education and Training will be conducting training for approved VET FEE-HELP providers in 2015. This training is suitable for recently approved VET FEE-HELP providers or existing VET FEE-HELP providers who wish to refresh their knowledge. For more details and schedules of dates and venues please visit the department’s website. Finalists have been announced for NT, WA, TAS, SA, NSW and VIC. The 2016 Group Training National Conference will be held on 7-8 April 2016 at the Adelaide Hilton. Reserve the dates in your diary now and watch the website for more information later in the year. The Australian Apprenticeships and Trainees (AAT) Information Service has just received a new batch of promotional cards highlighting the new Career Interest Explorer on the Australian Apprenticeships Pathways website, and the Australian Apprenticeships - My Gain YouTube channel. These cards are ideal for organisations that have face-to-face contact with students and jobseekers, such as Australian Apprenticeship Support Network providers, Registered Training Organisations, jobactive providers, Disability Employment Services providers and schools. If you would like to place your free order, please contact the AAT Information Service on 1800 338 022 or email contact@aatinfo.com.au and provide your name, address, and the quantity of cards you would like to order. • Will anyone look at my e-portfolio? • Am I the only parent concerned about the lack of stem learning in primary schools? • Four easy steps to student management system learning/management system integration. o Introduction to workplace literacy and numeracy video series (8 videos). The Australian Government funds the National Women’s Alliances through the Office for Women in the Commonwealth Department of Prime Minister and Cabinet. These Alliances take the lead in ensuring that the voices of as many women as possible are heard by government, especially those who in the past have found it difficult to engage in advocacy and decision making. The Alliances are made up of a mix of sector-based and issues-based women's groups, each with a distinct focus and a strong capacity for networking and advocacy activities. One issues-based group, economic security for women (eS4W), advocates for change to policies which continue to impact negatively on equality for women and their ongoing economic security. eS4W promotes the belief that economic wellbeing and financial security are essential for women and will enable women of all ages to have an equal place in society. • engage actively with the Australian Government on policy issues as part of a better more informed and representative dialogue between women and government. To improve money management skills, access a free online training resource developed by the Australian Securities and Investments Commission (ASIC). The Be MoneySmart resource can be used for accredited training as part of the Certificate III in Financial Services (FNS3011), for general money management skills development programmes or as a package for training organisations to include on their learning management system. To access the resource visit ASIC's MoneySmart website. Service Skills Australia has released a Workforce Planning Guide (the Guide) for the tourism and hospitality industry. The Guide provides practical advice on making sure you’ve got the right people and skills to meet your business goals. There is a strong relationship between effective human resource practices and a range of positive business outcomes. Download a copy of the Guide and the workforce planning templates. The 2015 professional development calendar for training providers is available for SA. Developed by the Geelong Local Learning and Employment Network for local jobseekers to provide a live feed of current local jobs directly to jobseekers via their phone as well as indications of trending industries, vocational education training information and services available for retrenched workers and other key groups in this region. Numeracy by Measure - builds practitioner awareness of workplace measurement skills to better meet the skills needs of adults in the workplace. Numeracy in Practice - supports the development of practitioner numeracy proficiency skills and numeracy training skills. Numeracy in Focus - builds practitioner workplace numeracy awareness. For more information on these resources please email Tina Berghella at Oggi Consulting. specific RSS feeds wherever you see the ‘Subscribe’ symbol. If you would like to provide feedback, supply an article for inclusion in the next edition or join our list of subscribers, please email skillsatwork@education.gov.au. The next edition will be published in October 2015. Submissions are due by Friday 18 September 2015.